Guide to getting status. Star Alliance. Updated. The guide to oneworld is here and SkyTeam is here. Star Alliance has two tier levels that operate alliance-wide, Star Silver and Star Gold. They’re roughly equivalent to Oneworld Ruby and Sapphire. Star Silver gets you a little more though; you get priority check-in and also lounge access only with the carrier that you earned it with. For example if you’re a Star Silver with Lufthansa then you can access their lounges when flying Lufthansa. If you’re flying another carrier then you wouldn’t be admitted. Star Gold is very much equivalent to oneworld Sapphire which I talked about yesterday and is the focus of this article. Why Aegean? I mentioned at the start of the article, that this is very much focused around getting status quickly and efficiently. The Aegean programme only requires 24,000 miles to achieve gold status, provided that you take at least four sectors with Aegean. If you don’t, then you have to fly 48,000 miles before they will grant you Star Gold. The second programme I’m going to walk through is Lufthansa’s. In my opinion, it’s actually pretty poor, however I still use this as my primary Star Alliance programme. The single reason for this is First Class. 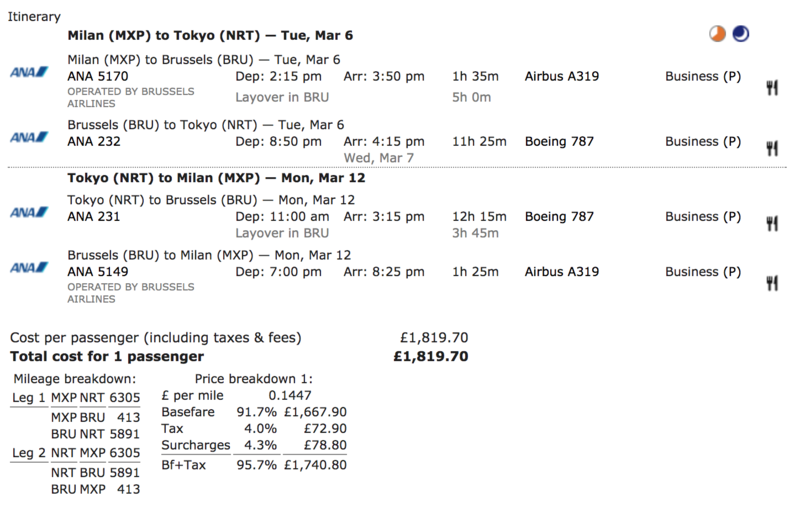 For those of you that are used to oneworld, within Star Alliance redeeming miles is a lot more uneven. Different groupings restrict availability of their first class cabins. For example Singapore Airlines only lets it’s own members redeem for Suites (with a few exceptions), and Lufthansa only allows it’s own members to book first class, until 14 days to departure. Within 14 days, if the cabin is lightly loaded, then they will open up seats to everyone within the alliance. Swiss first class on only ever bookable by Lufthansa Senator members. 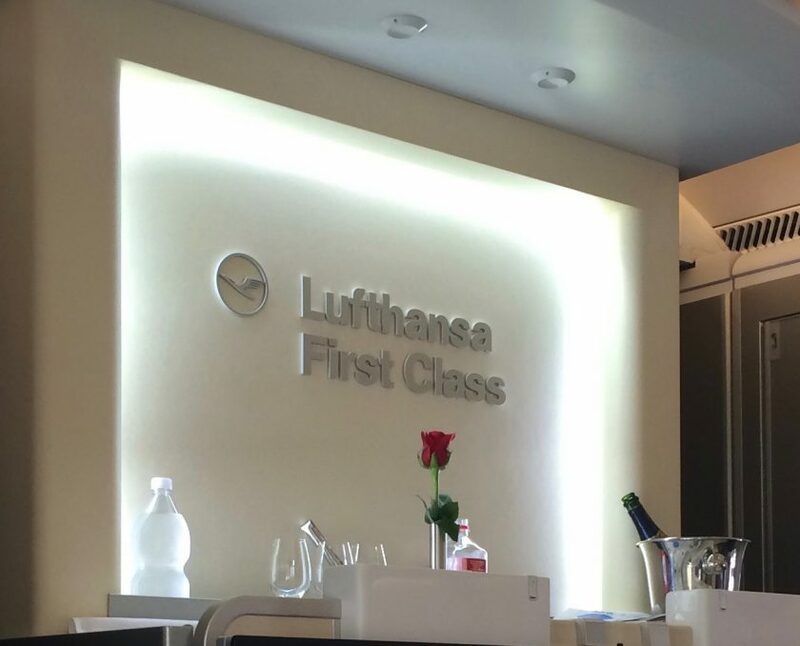 I find that Lufthansa First Class is one of the best products flying today, and therefore I value being able to plan ahead, and book it more than two weeks in advance. If this is something that is important to you, then Miles & More is the only option for you. If you’re not that bothered, then Aegean is your best bet. Both programmes however have the concept of status miles, which take you from tier to tier and award miles which you can use to spend on flights. Earning miles across the Star Alliance is generally more complex than earning tier points with British Airways and oneworld. Aegean requires that you fly 24,000 miles *and* take four flights with them to earn Gold status. However if you are starting from scratch, it is more complex than that. To earn silver status, you need to fly 12,000 miles and take two flights with Aegean. That’s the easy bit. Once you hit silver status, they reset your qualifying flights to zero and subtract 12,000 from your total. Meaning you need to fly four more Aegean flights after your account has been upgraded to silver, plus a further 24,000 miles. Your qualifying miles over the initial 12,000 are kept. This isn’t straight-forward, and indeed I got this wrong myself until a very helpful reader pointed this out. Earning 24,000 miles is generally as simple as it sounds, however there are some significant caveats. Firstly, every airline in Star Alliance earns at a different rate, depending on what fare class you book in. I strongly recommend you check the earning levels for each booking class against the Aegean website first. However, once you’re at Gold, you only ned 12,000 miles and four Aegean segments to renew it within twelve months. Getting there is a pain as I have outlined above, but once you’re there it is very attractive to retain. Lufthansa’s Miles and More has substantially harder requirements. Silver or Frequent Traveller (FTL) as they call it, requires 35,000 miles. Gold status or Senator (SEN) requires 100,000 miles, but your status lasts for two years. As with the Aegean programme there is a very wide variation in how much you earn for each flight, so it’s essential you check what fare class your flight is booked into against the list on the Miles and More website for each airline the flight is operated by. First off, we need an itinerary to get two segments with Aegean. At the time of writing, I looked at a number of locations in and around Europe, starting from London. Athens is the logical location and there are some very inexpensive fares if you plan ahead, such as the one that I highlighted below. For the main flights to earn the bulk of the miles we need to qualify for gold status, I’ve picked an itinerary from Europe to Japan flying ANA, as they earn 200% mileage credit in all business class fare classes. The itinerary above is an interesting combination of earning and non-earning. The sectors from Brussels to Milan are operated by Brussels airlines (despite having an ANA flight number). So you need to check the rules for what ‘P’ class earns on Brussels Airlines (and not ANA). Brussels Airlines ‘P’ class earns nothing with Aegean. However the flights from Brussels to Tokyo are 5,891 miles and earn 200% credit with Aegean. For the return sector, that means we would earn 23,564 miles. At this point, our Aegean account would be promoted to SILVER status, as we’ve flown two segments with Aegean and flown over 12,000 miles (in fact close to 24,000 by this point already). We now need to fly four more segments with Aegean, to qualify for Gold status, plus roughly another 11,000 miles. 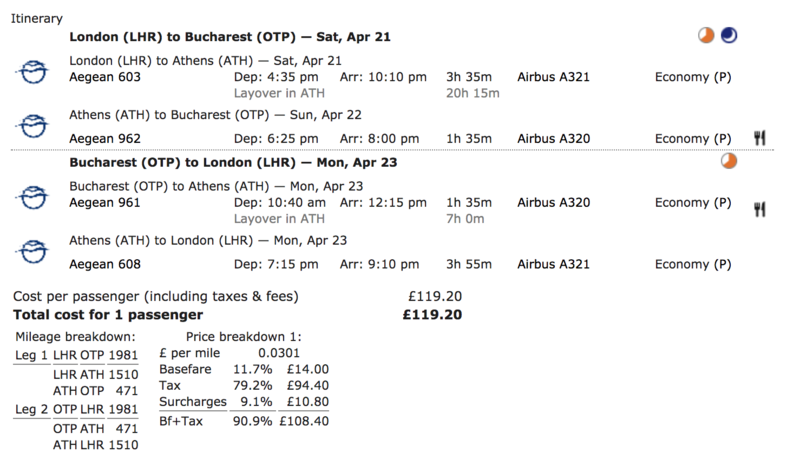 The best value that I can find is the following itinerary, which is to Bucharest and do-able over a long weekend. To finally take us over the top (so to speak), we still need around a 11,000 miles or so. 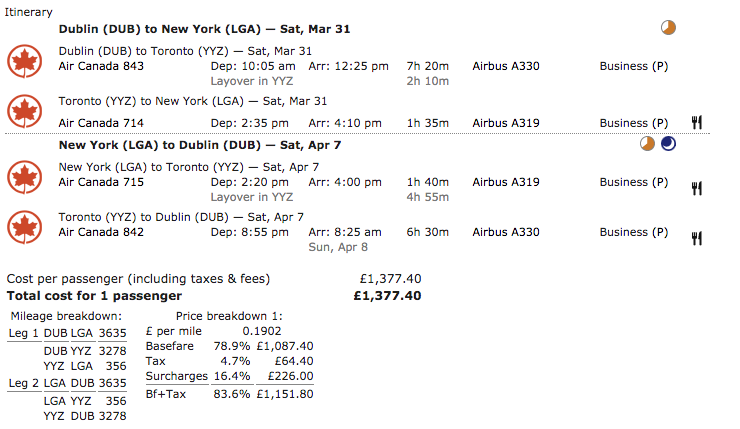 There’s a huge amount of options, but a weekend in New York could potentially fit the bill. This itinerary with Air Canada would net you around 14,500 miles in total. Getting to Star Gold (Senator status) with Lufthansa is considerably more expensive than most other programmes, due to the 100,000 mile requirement, plus the fact that the Miles & More programme has very poor earning rates in discount business class. Most discounted business class fares will be in ‘P’ class and will only earn 100% of flown miles. The best way of earning status with Lufthansa is to fly first class as both ‘F’ and ‘A’ classes earn 300% of flown miles. 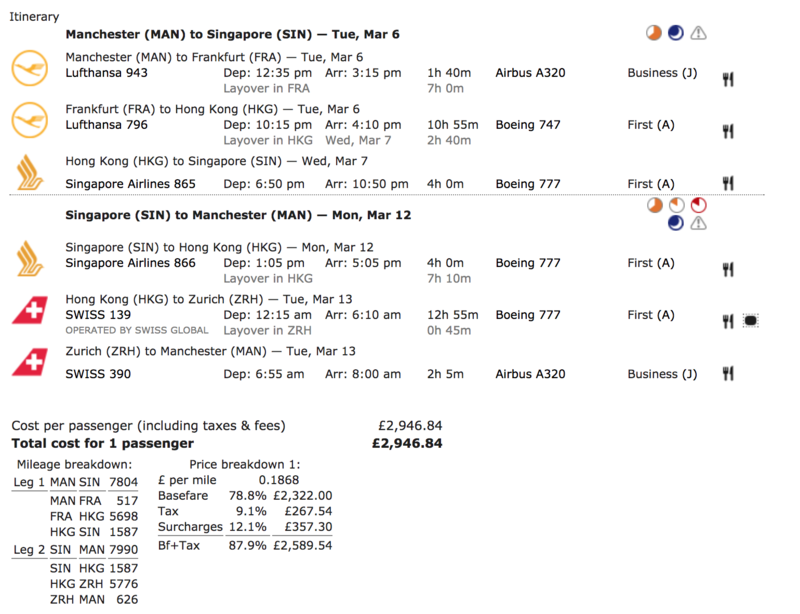 I posted recently about some excellent first class fares that Lufthansa have out of the UK at present, from Manchester to Singapore. They are valid on both Lufthansa and Swiss and can also be flown via Hong Kong onwards with Singapore Airlines as per the itinerary below. The itinerary above would earn roughly 47,700 miles in total. That means you would need to do it twice, plus a short weekend away in Europe. However it’s probably the ultimate in itineraries if you want to sample the best first class products today, both in the air and on the ground. Aegean is probably one of the easiest programmes to get Star Gold status in where as conversely Lufthansa is one of the hardest. The Aegean options I have written about are suggestions about two comfortable trips away, with a carriers that will earn you decent amounts of miles. However don’t get caught out that your qualifying flights get reset when you are promoted from blue to silver and also 12,000 miles deducted (as I did)! If you choose to accrue with Lufthansa, it is harder and more expensive to get status. However, if you decide to fly one the suggested itinerary above, it will be an incredible journey with some of the best products flying. However it’s important to note that the status will last for two years, rather than just one. There are many other options out there, and I’ll update this post when I see any interesting deals. Previous Post: Guide to getting status. Oneworld. Next Post: Guide to getting status. SkyTeam. You’ve got your A3 numbers wrong. For Gold status Aegean requires 36000 miles + 6 flights on their own metal or 72000 miles on *A partner airlines. Gold renewal requires 12000 miles + 4 A3 flights or 24000 miles on *A partner airlines. You’re quite right! I screwed that up didn’t I, despite being a member of the A3 programme myself for years! I’ve fixed the article and thanks indeed for pointing it out – very much appreciated!